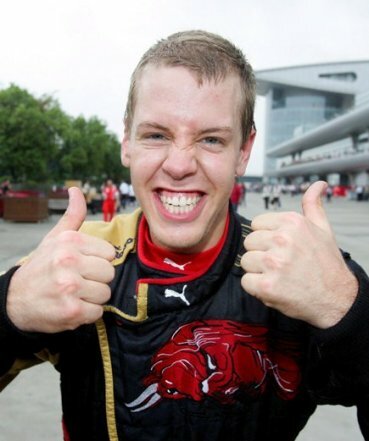 Toro Rossoâ€™s Sebastian Vettel is Formula Oneâ€™s youngest-ever polesitter! I am really really loving this year’s Formula One Season! There have been so many unpredictable outcomes and the class of the field is so close that its hard to tell from one race to the next what the stacking order will be. This is a HUGE change from the days when Ferrari (and Michael Schumacher) so effortless dominated the sport which led to numerous regulations to limit their performance. I am starting to think that this strategy has worked since so many teams are proving that its possible to achieve superior performances without the super budgets of Ferrari, BMW, Renault, Toyota and McLaren. This weekend should be fun in what were totally unexpected qualification standings at Monza, the home of the Scuderia! Torro Rosso’s Sebastian Vettel became the youngest Formula One driver (ever) to win pole position at the tender age of 21. The conditions at Monza we’re appaling with rain drowning the track and lots of slipping and sliding on track by many of the elite drivers and teams of Formula One. However, at the end of the day, its who’s on top and who’s not! After threatening with impressive finishes the entire season, Sebastian Vettel showed his mettle with an outstanding drive the in today’s qualification that landed him the pole. The most interesting thing for me is that everytime a special talent emerges in Formula One like Vettel did today, you know that we are going to be seeing lots of him in days to come! Congratulations Sebastian and good luck this weekend! Pamela Jelimo wins the US$1 Million Golden League jackpot! Sebastian Vettel wins record-breaking Italian Grand Prix! Kenya Music Week 2008 Social Media Interview.